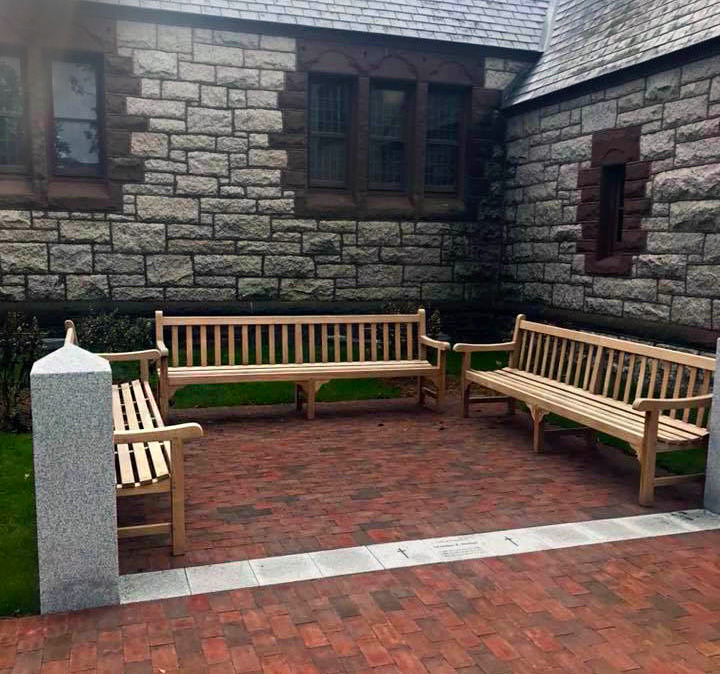 Huntress Associates provided design, detailing and construction administration to create new campus signs, outdoor seating, planting, accessible walkways and accessible entryways into the Parish of Christ Church, a National Historic Register property located in Andover, Massachusetts. 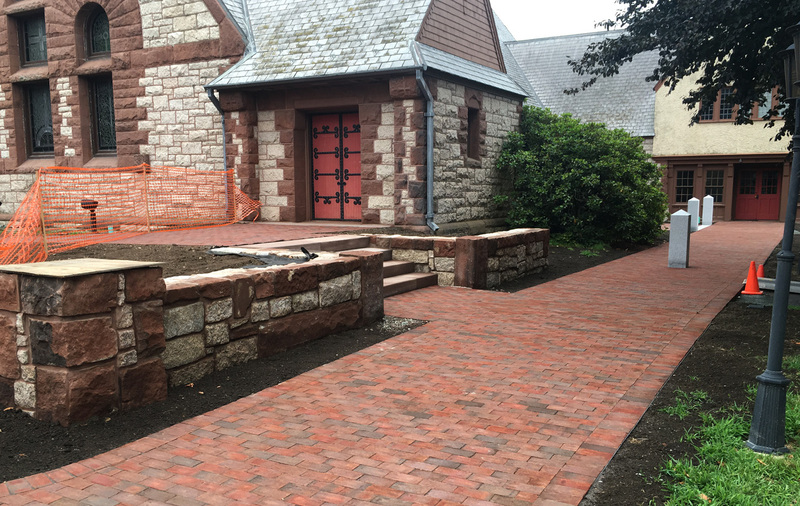 The restoration work included the documentation and detailing to construct new wall, ramps and handrails to match the original 1887 brownstone and granite structure. The goal was to make the historic structure accessible to everyone, without encumbering the front of the building with ramps and handrails that might take away from the original historic integrity of the building. 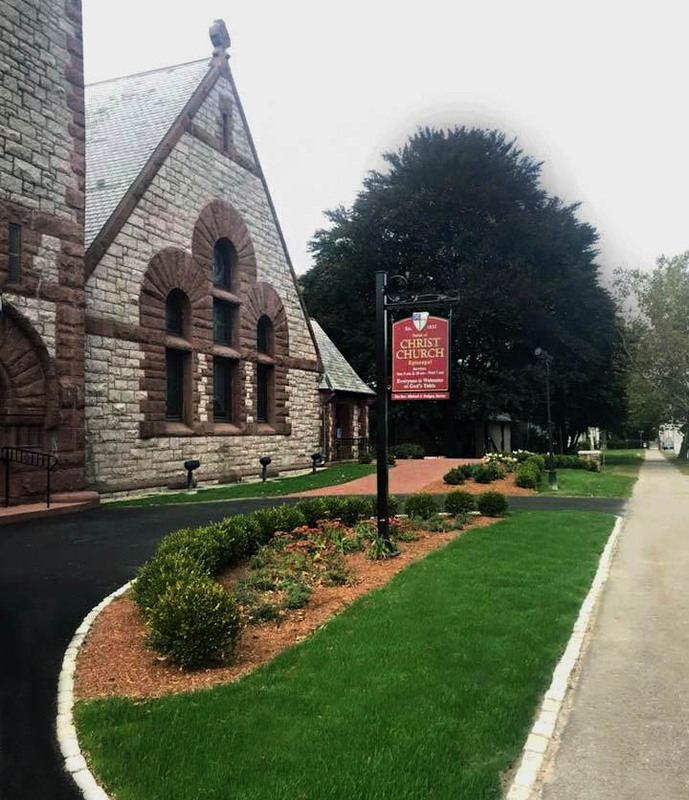 HAI worked with the owner, Andover Zoning Board of Appeals, Andover Historic Society and the Andover Preservation Commission to create a final plan which relied upon traditional materials and detailing to satisfy the current day needs. Worked was completed in the summer of 2017.